Designers are encouraged to explore in wide multi-disciplinary solution spaces for finding novel and optimal principle solutions during conceptual design. However, as cultivated in limited disciplines, they often don’t have sufficient multi-disciplinary knowledge for fulfilling such tasks. A viable solution to this issue is to develop an automated conceptual design system so that knowledge from various disciplines can be automatically synthesized together. Since conceptual design is often achieved through reusing and synthesizing known principle solutions, this paper proposes a knowledge-based framework for achieving automated conceptual design of multi-disciplinary systems, which comprises three primary parts, i.e. 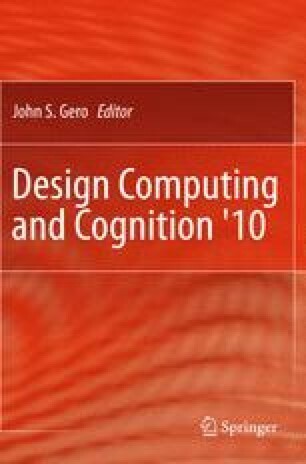 a flexible constraint-based approach for representing desired functions, a situation-free approach for modeling functional knowledge of known principle solutions, and an agent-based approach for synthesizing known principle solutions for desired functions. A design case demonstrates that the proposed framework can effectively achieve automated conceptual design of multi-disciplinary systems. Therefore, designers can then be automatically guided to explore in multi-disciplinary solution spaces during conceptual design.